Enter into nature’s lego-land! This monochrome, rugged landscape is unbelievable; its sandstone arches and structures are in all shapes and sizes. You enter the national park by driving past an impressive sandstone wall to be greeted by ‘The Organ’ and ‘The three gossips’. Arches national park is in the state of Utah, USA. 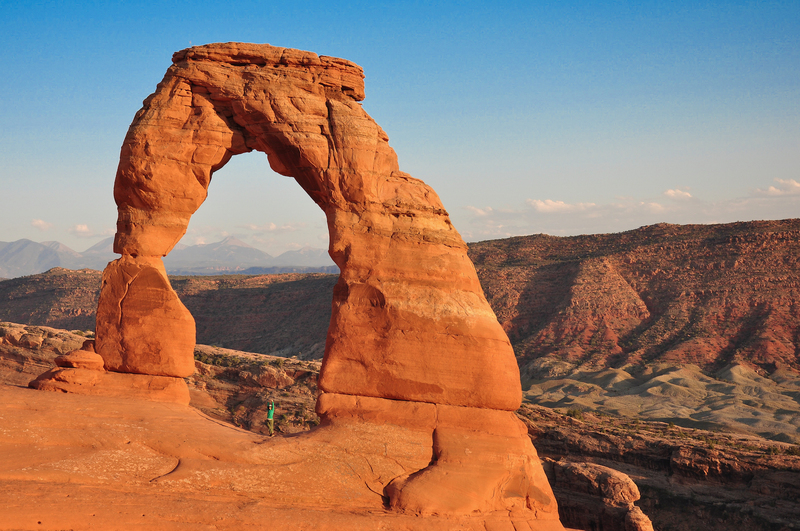 It is known for the many natural sandstone arches, the most famous being the Delicate arch. Closest town to halt for the night is Moab. We stayed at Gonzo inn, a pretty inn with everything to our satisfaction. Arches national park is located just outside the town. Arches national park can be seen from the comforts of your car, but to experience the sheer size of the arches you need to be on your two feet. 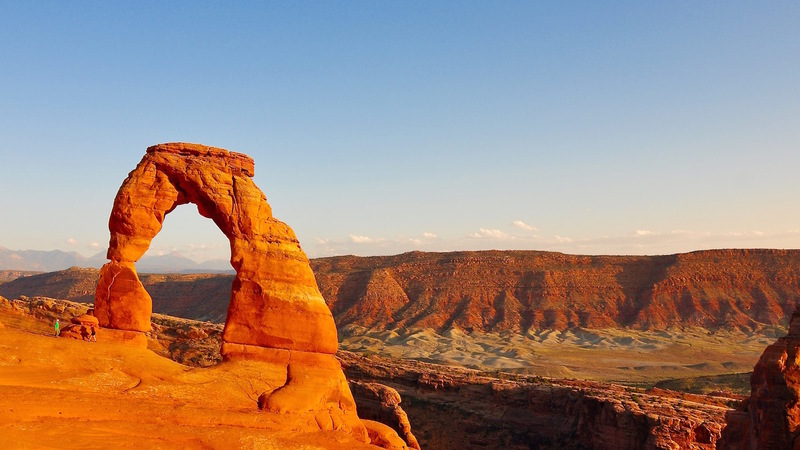 Two days are sufficient to see all the major points of interest, including a hike to Delicate arch and exploring Devil’s garden . With an additional day in hand, you can do the ranger-guided hike through Fiery furnace. A list of hiking trails can be found here. To enjoy Delicate arch in all its glory, reach the arch during sunset when the setting sun paints it a bright orange and then slowly robs it of its colour. Trust me when I say ‘you need to see Delicate arch up close and not from the view-point’; it’s spectacular! Reach the parking area well in advance to get a spot. From there, it is a 1.5mile hike to the arch. Give yourself around three to four hours to enjoy Devil’s Garden area. The hike to Double O arch and back is around 4.3miles. Take a side trip to the base of Landscape arch. While in Moab visit the Dead Horse Point state park, and the Islands in the Sky part of Canyonlands national park, the largest park in Utah. On our drive back from Moab to Draper, we stopped at the Museum of Ancient life. It has a sizable collection of ancient fossils and mounted dinosaur skeletons, worth checking out.